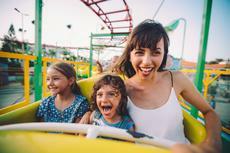 If you are looking for spectacular park shows, thrilling rollercoasters and enchanting attractions, you will find all of these, and much more excitement, at amusement parks. They are the best of the best kind of fun out there – amazing performances, incredible rides, fun for people of all ages. Such entertainment centers have been around for a long time, some for more than a century, and they seem to improve every year. They keep expanding and adding more and more attractions. The parks have many different types of slides – from water coasters to roller coasters, thrilling rides and heart-stopping vertical drops. Bond with your family in Efteling’s Fairytale Forest, ride thrilling roller coasters in Cedar Point, head to Aquatopia to experience the #1 indoor waterpark in the country, and watch interactive shows in Universal’s Islands of Adventure. Bring out the inner child in you, take tons of pictures, and create memories that will last a lifetime.